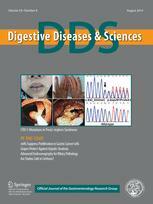 Does Rebamipide Prevent Gastric Mucosal Injury in Patients Taking Aspirin and Clopidogrel? Intraductal Ultrasound for High-Risk Patients: When Will the Last Be First? Prescribing a Statin to a Cirrhotic Patient to Reduce Hepatic Decompensation and Improve Survival: Impossible You Say? Molecular Therapies in Hepatocellular Carcinoma: What Can We Target?